Anyway! 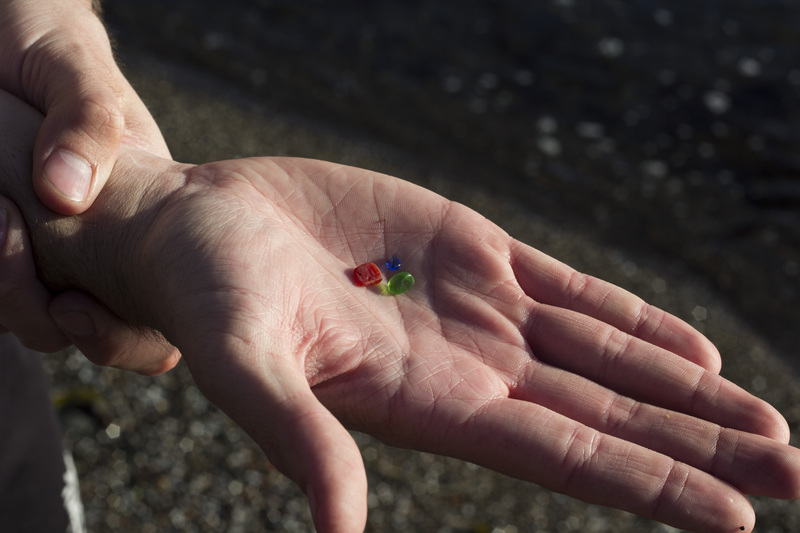 I had heard of a place called Glass Beach about half way between the redwoods and San Fran and I was very interested in checking it out so suggested we do so. 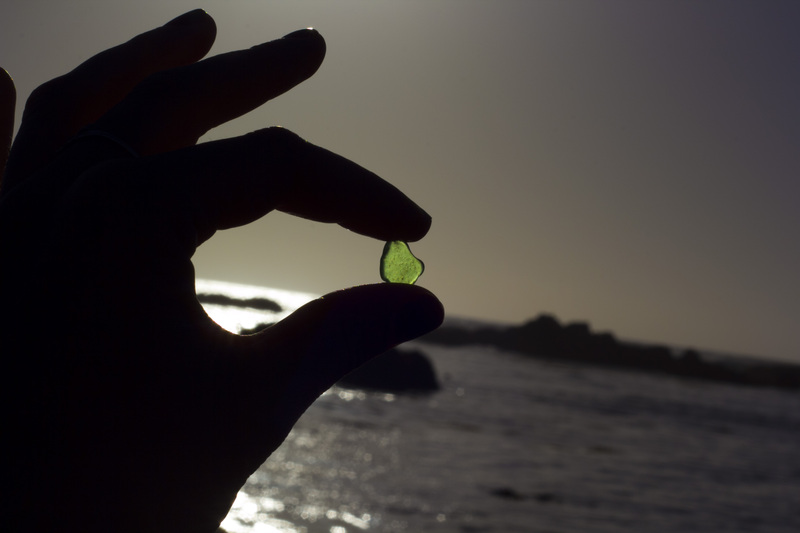 Glass beach is a beach in Fort Bragg California that once was used as a dumping ground for the residents of the small town. They would throw everything from cars and household garbage to glass bottles and pottery over the cliff into the ocean. The government eventually put a stop to this in the late 60s and began an extensive cleanup effort. They did a fantastic job in cleaning up all of the garbage. However, there was a beauty to all of this garbage being dumped over the cliff. When the residents would throw glass over the edge it would smash onto the rocks below and get washed into the ocean. 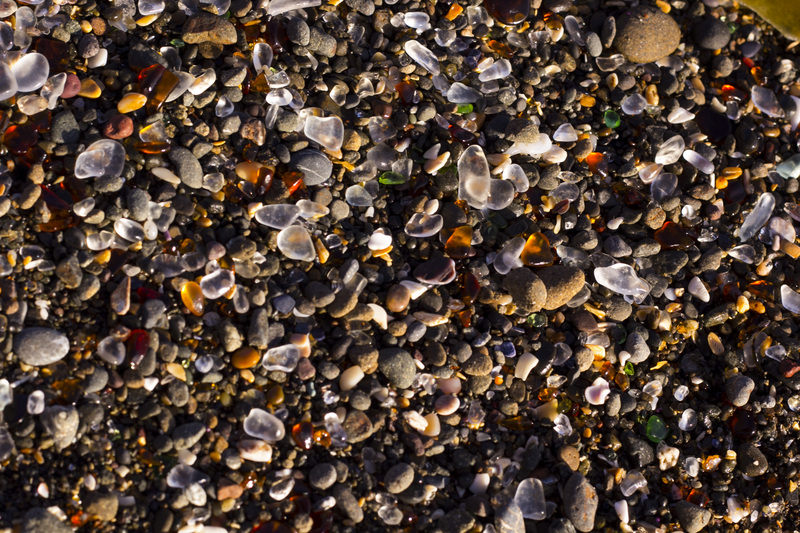 After years and years of waves pounding on this broken glass the sharp fragments were eroded down to beautiful smooth multi-colored glass pebbles which eventually were washed up and became the sand of the beach. 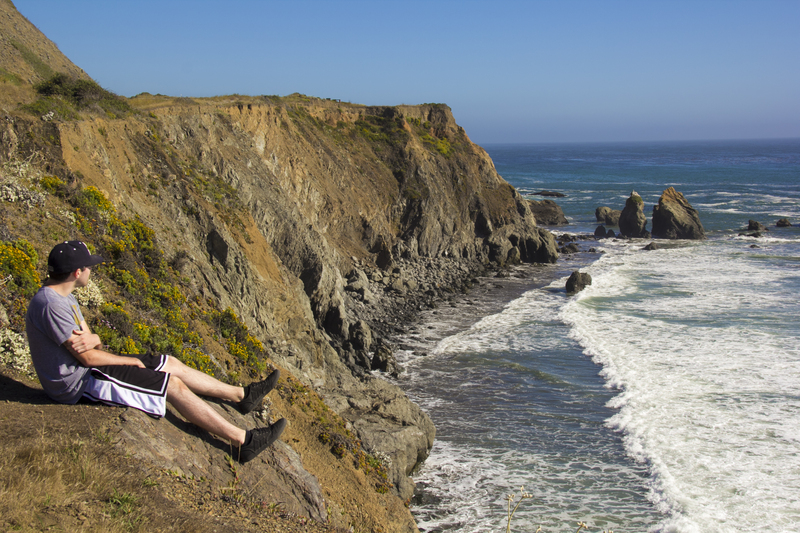 The area is now a beautiful state park and is enjoyed by all. Well. We’re no in Vegas and are about to head out to the strip. So. Um.